LED display temperature/humidit/hatching days/egg turning time. The lastest updated 2012 model, more accurate and stable. Easy to clean, simple to use with instructions included. Suitable for incubating all poultry: Chickens, ducks, gooses, Turkey, etc. 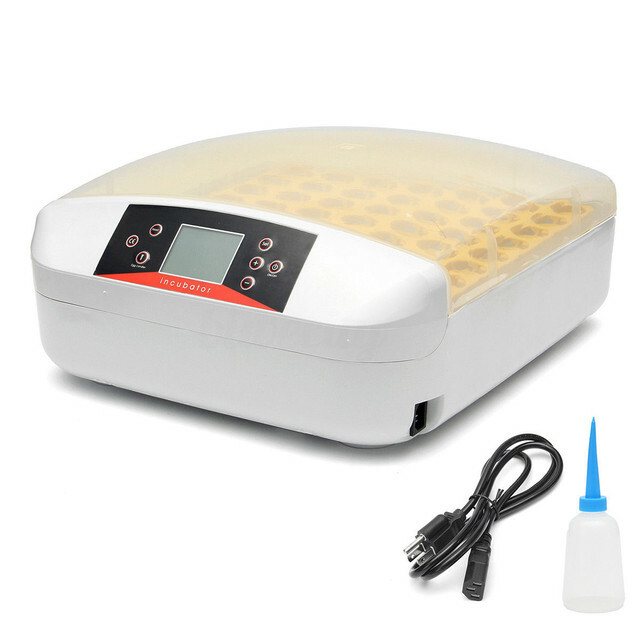 Use this Auto-Turning Egg Incubator to be sure your eggs hatch safely and quickly. 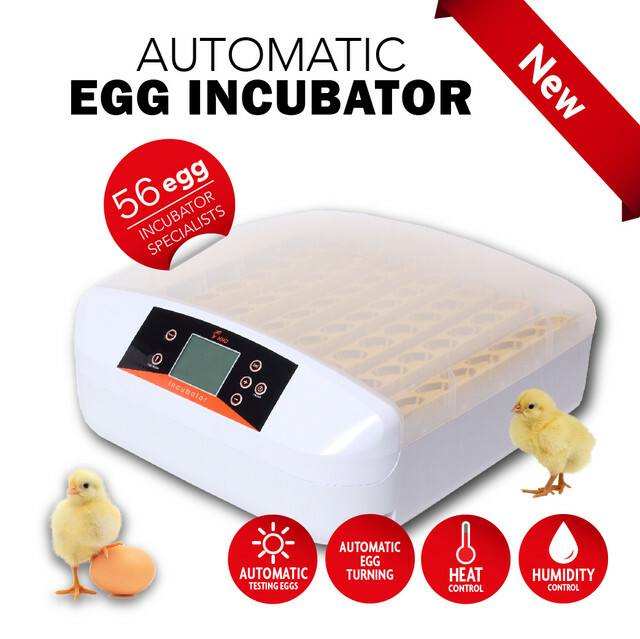 Featuring a highly accurate temperature display and an auto turning system your eggs are sure to receive even air temperature to improve your hatch rate. The sturdy high quality construction ensures the stability and safety of your eggs. Great for hatching chicken, duck, pigeon and a variety of bird eggs this incubator holds 24 eggs per time. Humidity temperature. You don't need to worry about it.